If you have kids to entertain, or you just fancy learning more about the world we live in, why not visit the World Museum in Liverpool? With a planetarium, aquarium, dinosaurs and more, it's easy to lose yourself in this immersive museum. Not enough people make the most of the U.K.s FREE museums; how great is it that we have all this on our doorstep? With a family of five, even the simplest of days out can end up costing a small fortune, so any free activities for the kids are more than welcome. If you're travelling from afar, bear in mind that it is in the city centre, therefore to park is going to cost. It is possible to park directly outside the museum, but spaces are limited. We parked in the nearby pay and display car park on the corner of Hunter Street, which cost just £6 for the day. Once inside, there are lockers if you want to drop off your things, a nice touch if you are lugging around a picnic for five, as we were. We found the staff to be very friendly and helpful, stepping in when we looked lost. My daughter's current project at school is dinosaurs, and from the moment we stepped into the atrium, we knew we'd picked the right place. A huge Pterosaur was suspended from the ceiling which immediately caught the kids' attention. The huge spider crab encased in glass in the same area was also a hit – we had to pay it another visit on the way out. The layout of the museum is simple to get around- each floor houses a different area to explore. It is a huge space to cover though, and for little legs it might be too much to do in one day, but if you can I'd suggest you ditch the pushchair as it looked like there were always people waiting for the lifts. The Planetarium is located on the top floor, but if you wish to see one of the shows, there is a small charge for most of the shows (£2.50 for adults and £1.50 for children). Be warned, tickets must be purchased in advance on the ground floor, so make sure you book your tickets before heading to there. We didn't visit it as we thought our three year old would find it scary, but the space area next to it was interesting to explore, with a video playing a Q & A session recorded at the World Museum with a local school and Tim Peake, whilst he was still out in space. For nature lovers, there are some great installations where you can see monkeys, polar bears and all kinds of other animals. A must see is the Bug House where, as well as seeing all kinds of creepy crawlies, you can watch ants moving food between two areas –it was fascinating to watch these tiny creatures moving such large objects. The kids stood there captivated. There's also an aquarium where you can see a variety of tropical fish. The highlight for my three year old was spotting Nemo in one of the tanks. 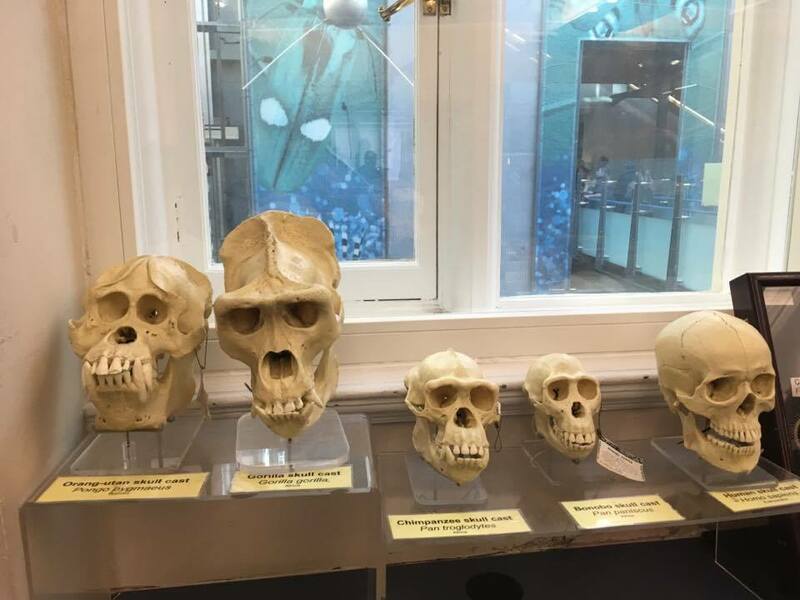 Two of the most fascinating areas to explore were the Clore Natural History Centre, and the Weston Discovery Centre, both of which allowed the kids to get hands-on with interesting artefacts. In the Clore Natural History Centre, there are literally drawers and drawers filled with different rocks, fossils and stuffed animals. The kids loved exploring this area, and were able to see animals that they haven't seen in the wild before, such as wild shrew, moles and hummingbirds. They were even able to touch a hippopotamus skull, which was huge. In the Weston Discovery Centre, they were able to write their names using runic letters, and discover what the names of towns and villages mean and how they were formed –whether they came from Anglo-Saxon or Viking origin. 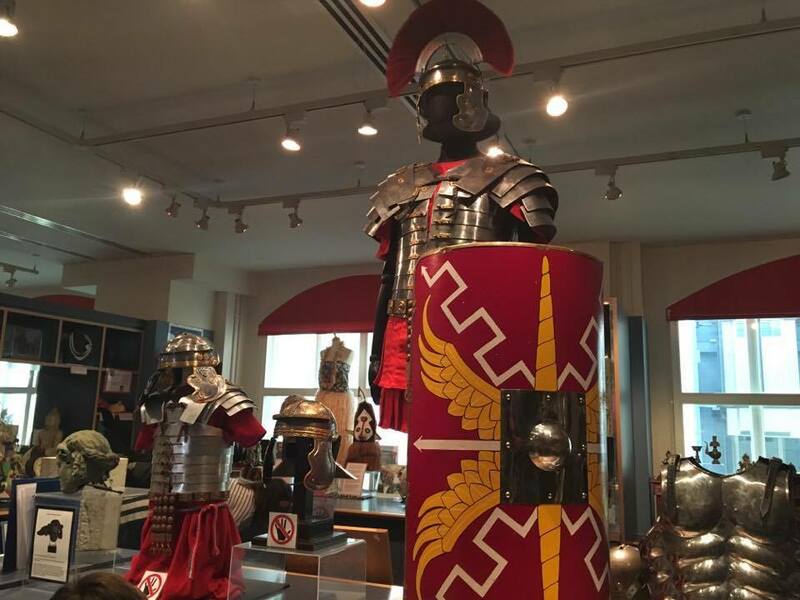 There were coats of armour and swords on display which our nine year old was scarily fascinated with, and the chance to dress up in all kinds of costumes. The dinosaur area was what we had come for, and we weren't disappointed. 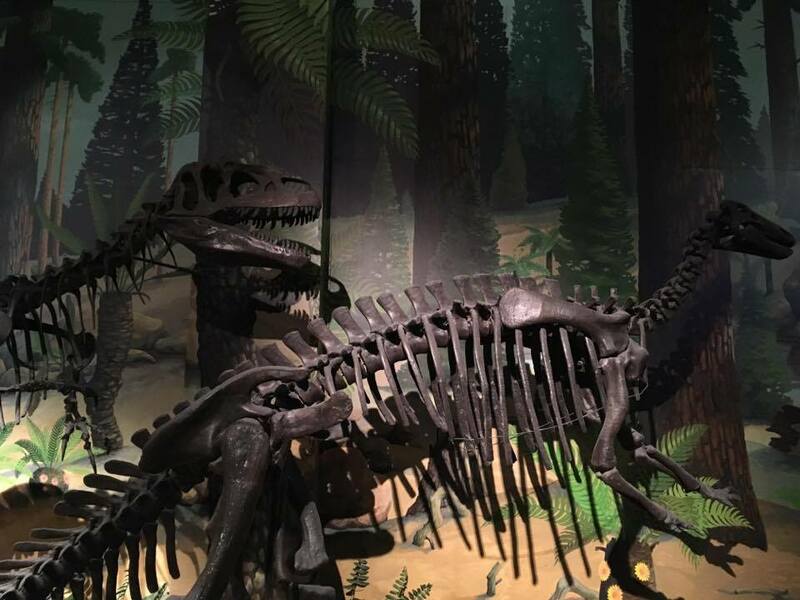 There were full sized casts of a Megalosaurus, Allosaurus and Camptosaurus, as well as lots of bones and fossilised footprints to take in. When ready for refreshment and a sit down after all that walking, there's a large cafe on the top floor, providing a selection of hot meals, sandwiches and paninis. There is usually a cafe on the ground floor too, but that is currently closed for refurbishment until mid-April. Alternatively, you can do as we did, and bring a picnic. There's a large picnic area in the museum which is well signposted. As museums are free, I always like to treat the kids to a little something from the shop, and I was pleased to note that there were plenty of pocket money items available. Liverpool World Museum holds numerous workshops and events throughout the year. See here for more information. All in all, we had a fabulous visit, and will most definitely be back, as we still have plenty we need to explore. 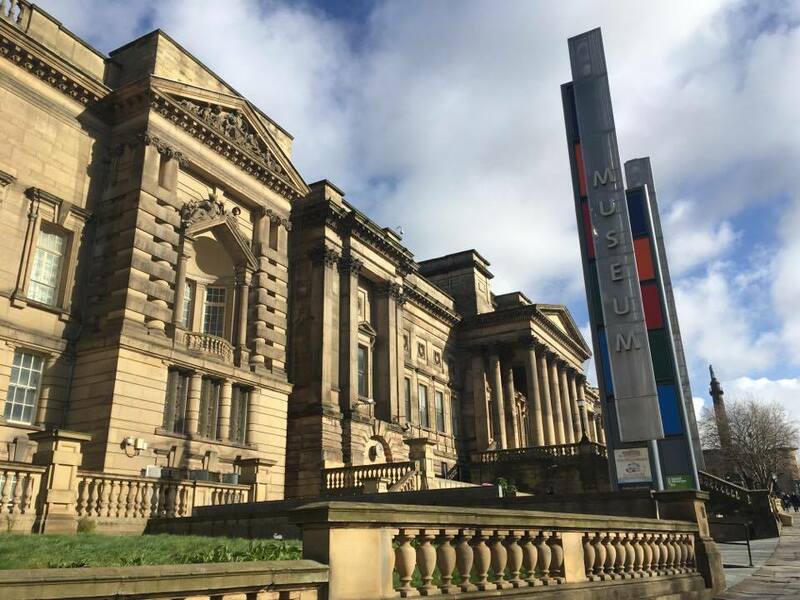 The World Museum in Liverpool is a true gem to treasure –make sure you pay it a visit.